President Trump’s decision to withdraw from the Paris climate accord drew muted reactions from Alaska officials on Thursday. U.S. Senator Lisa Murkowski told reporters she’s “agnostic” on the Paris accord itself. But, she said she hopes the U.S. won’t “fall back” in its efforts to address climate change, adding that Alaskans are already seeing impacts. 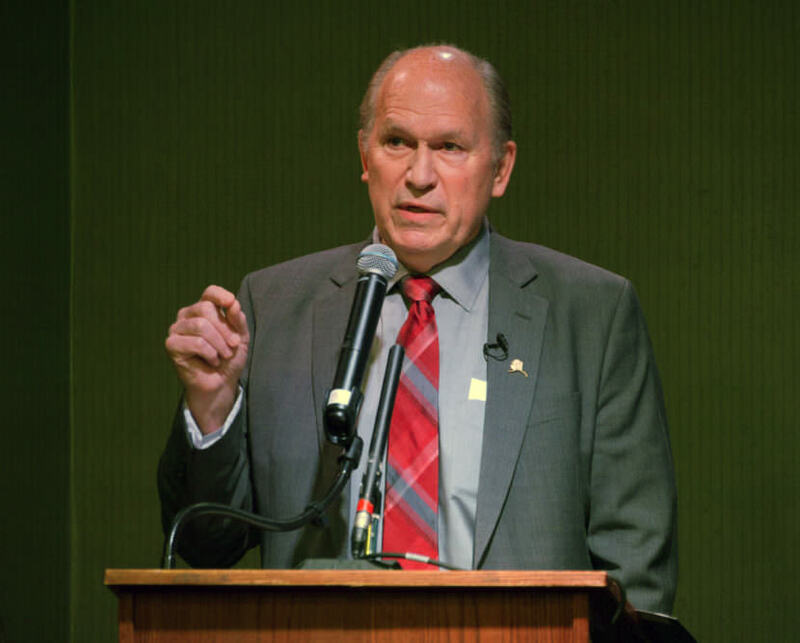 Governor Bill Walker released a statement highlighting the effects of climate change across the state. But he stopped short of criticizing President Trump’s decision. In his statement, Walker said shrinking sea ice and coastal erosion are causing “social and economic upheaval,” adding that the communities of Shishmaref, Kivalina and Newtok are “literally washing into the ocean.” And he noted that erosion and thawing permafrost will affect military installations across the state. Alaska hasn’t seen any official statewide policy initiatives on climate change since an effort under former Governor Sarah Palin, nearly a decade ago. The state was exempted from the Clean Power Plan, the Obama administration’s hallmark climate policy under the Paris agreement. But the Walker administration has indicated it hopes to advance some kind of state climate policy this year. Alaska Public Media’s Zachariah Hughes and KTOO’s Jacob Resneck contributed to this story.